You don’t have to give up on delicious cakes, cookies and pies because you have food allergies. Before I got to know raw desserts, I didn’t have much sweets at all, maybe some ice creams and sorbet if I feel like it. Then I realised I actually have a sweet tooth! 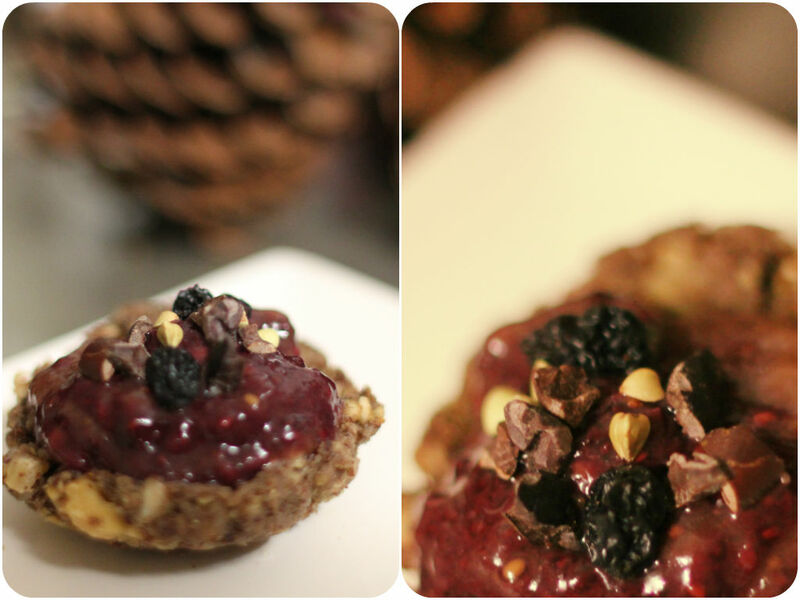 Raw desserts are so yummy and full of nutrition. I cannot skip even a day without them. Yes, it is better than traditional desserts which are full of refined sugar and empty calories. Desserts are desserts though. You need to enjoy in moderation since all the ingredients in raw desserts are quite high in calories and fat from nuts, dried fruits and coconut oil/ butter. One of the benefits of raw desserts is to avoid common allergenic foods such as gluten and dairy. It’s made of whole foods, all natural. For this recipe, raspberries are rich in anti-oxidants and vitamin C for boosting your immune system, reducing inflammation, balancing blood sugar levels and fighting against cancer. The crust is mixed nuts and dried fruits which are nutritious and leaves you full for longer. This dessert is easy to make, sweet, tart and full of delicious fat from coconut oil and nuts. Blend all ingredients for the base in a food processor. Add a bit of water if the mixture is too crumbly. Press the mixture inside the tartlet mold and put it in the fridge to set. For the filling, blend rasberries, chia and maple syrup until it’s thick (chia will make the mixture thick over time). Spoon the filling mixture into the tartlet base and top with some crunchy goodness. Keep them in the fridge. Thanks to the magic of coconut oil, they will set in a few hours. If you want to go nut-free, substitute the 1 cup of nuts to 1/2 cup of pepitas (pumpkin seeds) and 1/2 cup of shredded coconut. You can absolutely choose to use other fruits, blueberries, strawberries, mangoes. I love using cinnamon, cardamom and nutmeg in the base, but skip them if you are not a fan of them.